You'll find our complete collection of employment forms, handbooks, and human resource software available to download for free right here. Making your sure your business stays compliant on issues related to employees is a complex job that requires accuracy, accountability, a way to reduce human error, and performance metrics. Why reinvent the wheel when forms and software to do just this are available to you right now from our downloadable selection of business tools and documents. All Free Employment Forms are available for immediate download. One of the biggest issues employers face with employee records and maintaining compliance with local, state, and federal laws, is inaccuracies caused by human error. Simply put, implementing detailed employment forms and HR software can significantly decrease the amount of human error that can lead to becoming out of compliance. With our forms and program, not only is your business more secure, but the amount of time your HR team saves can add up into significant savings on overhead overtime. All it takes are the right forms, handbooks and software. So take your time browsing our large selection of forms that cover several topics related to employees and other business needs. What's more, all forms are fully customizable, so there's no need to waste time starting from scratch if the form isn't exactly how you need it. Take any form you choose and modify it in any way you need to create the ideal employment form for your needs. Categories – There are several types of forms and software like an employee exit interview form, termination letter, employment application, employee evaluation form, employee scheduling software and more. Our free forms and software can help HR departments with tasks like: Job and employee scheduling, creating policies and regulations, creating employee handbooks, maintaining employee records, exit interviews, and employee evaluation. User Friendly – The forms are in a standard word format, user-friendly, and can be used with most any computer. Your HR staff will not require any technical expertise to use them. Download, Customize, & Printout your Free Employment Forms in Minutes! An employment application form, is a form or a number of forms that a person seeking work, must fill out as part of the process of letting an employer know of your availability and want to be employed, also known as a method of trying to get the employer to offer you work. An Employment contract or employment agreement is a type of contract or agreement used in labour law to attribute rights and responsibilities between parties to a bargain. The contract is between an employee and an employer. A resignation is the act of giving up or quitting a position. A resignation can happen when a person holding a position steps down, though leaving a position upon the expiration of an contract or agreement is not considered as a resignation. 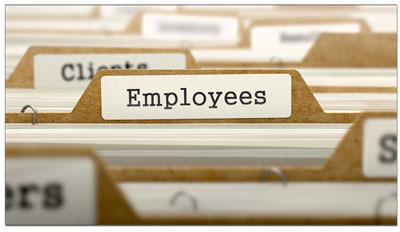 Termination of employment is when an employee departs from a job. It is sometimes voluntary as the employee wishes to leave, or more often it is instigated by the employer and often in the form of dismissal (firing) or a layoff. Dismissal or firing is usually the outcome at the wrong doing of the employee, where a layoff is usually the outcome of other business reasons and not the employees fault. We hope you find our selection of forms useful.